Thomas Jonathan Jackson Altizer ( a descendant and namesake of Stonewall Jackson) was born on May 28, 1927, in Cambridge, Massachusetts. He grew up and attended public school in Charleston, West Virginia, graduating from Stonewall Jackson High School in 1944. At that time he entered St. John�s College in Annapolis, Maryland, but left after a year to enlist in the Army of the United States. After a year�s service he entered the College of the University of Chicago, graduating with honors in 1948. After a brief period of graduate study in the Philosophy Department of the University of Chicago, he enrolled in the Divinity School of the University of Chicago. In 1951 he received an A.M. in theology, completing a thesis on �Nature and Grace in the Theology of St. Augustine�. Then he enrolled in the doctoral programme in the History of Religions at the University of Chicago, completing a dissertation on �A Critical Analysis of C.G. Jung�s �Understanding of Religion��, and received the Ph.D. with honors in 1955.From 1954-1956 he was Assistant Professor of Religion at Wabash College in Crawfordsville, Indiana. In 1956 he went to Emory University as an Assistant Professor of Bible and Religion where he also taught in the Graduate Institute of Liberal Arts and in the Graduate Division of Religion. In 1961 he became an Associate Professor of Religion at Emory, but in 1968 he went to the State University of New York at Stony Brook where he became a Professor of English. In 1970 he became Chairman of the Interdisciplinary Programme of Religious Studies at Stony Brook. 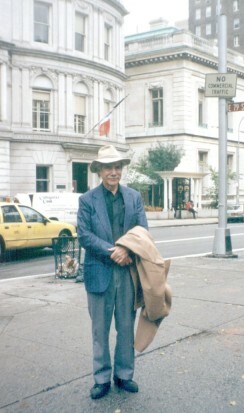 In 1994 he retired and is now a Professor Emeritus at the State University of New York at Stony Brook.